VICTORIA -- Ride sharing in British Columbia is at least a year away despite an NDP promise to bring in services like Uber and Lyft by the end of 2017. That’s because the government announced the hiring of a consultant Monday to direct the way forward. B.C. Transportation Minister Claire Trevena said she understands people want ride-sharing services, but the minority government will not race ahead as its studies ways to ensure safety for passengers and a level playing field for the taxi industry. "We know that people are impatient for a change in the system," she said. "We need to move in a sensible way, not a political way, but in a sensible way that respects the industry we have and respects the needs of people in B.C." Trevena said the government hired transportation consultant Dan Hara to make recommendations by early next year that will help create a ride-sharing system that modernizes safety regulations and provides more choice and convenience for customers. Hara is based in Ottawa and has 21 years of experience advising government agencies on regulatory and transportation policy, she said. Trevena said Hara was commissioned in 2015 to study ride sharing for the City of Vancouver. She said the provincial government expects to introduce ride-sharing legislation next fall. But the Opposition Liberals said it appears the NDP put ride sharing on a journey that could take years to complete. "It's unfortunate we're not going to have any certainty here in terms of what part ride sharing is going to play in the transportation options of B.C.," said transportation critic Jordan Sturdy. He said the Liberals are open to supporting a private member's bill this week by Green Leader Andrew Weaver. In a statement, Weaver said he will introduce for the third time a bill to enable ride sharing. "I am very disappointed that the government will not keep its promise to bring ride sharing to British Columbians by the end of this year," he said. The Greens and Liberals also promised to introduce ride sharing this year as part of their election platforms. Uber Canada spokeswoman Susie Hill said the company is committed to working with the government and all members of the legislature to develop regulations as soon as possible. 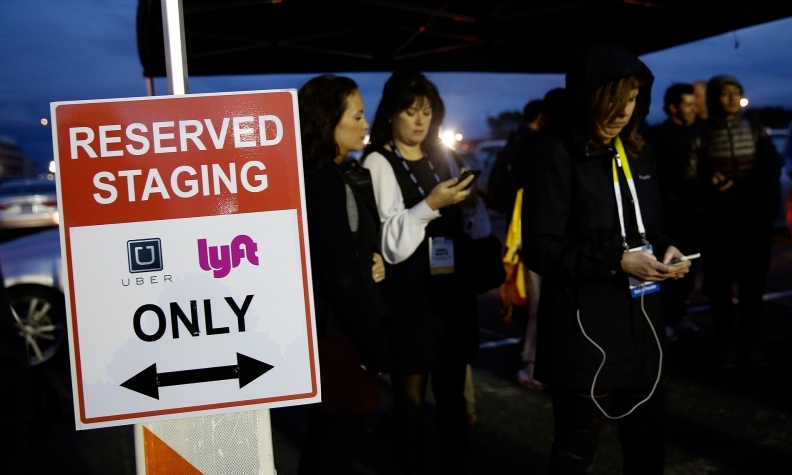 Hill said in a statement the company is concerned that Uber and other ride-sharing operators are not named in a list of stakeholder groups who will form part of Hara's consultation. The B.C. Taxi Association, which represents 140 taxi companies, welcomed the review and its focus on public safety. "It's a right step toward the right direction," association president Mohan Kang said in an interview.